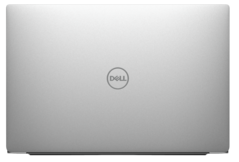 The Dell XPS 15 9570 is certainly one of the highly anticipated refreshes both fans and reviewers were eager to catch hold of. In the wake of the 'Coffee Lake-H' launch, Dell has unveiled what could be its most ambitious XPS 15 yet. Sporting CPU options up to the Core i9-8950HK and GPU options up to the GeForce GTX 1050 Ti, the XPS 15 9570 has everything a multimedia enthusiast would require and more. Prices start from US$999 for the Core i5-8300H variant with expected availability sometime in May 2018. 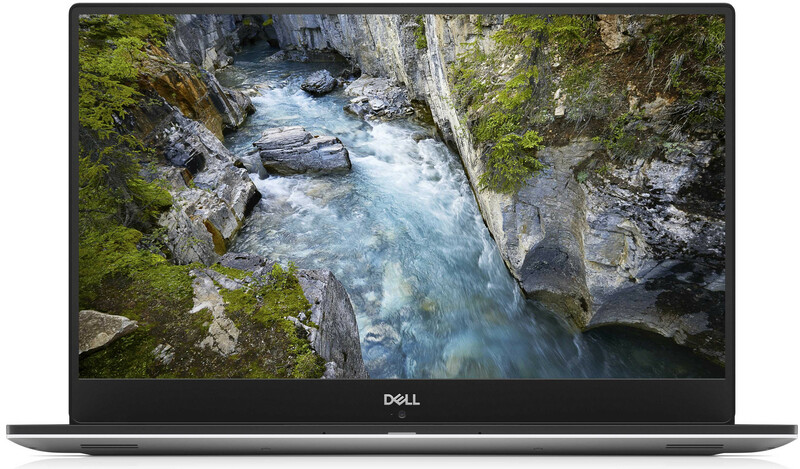 The Dell XPS 15 has always been the product other multimedia notebooks aspire to be. 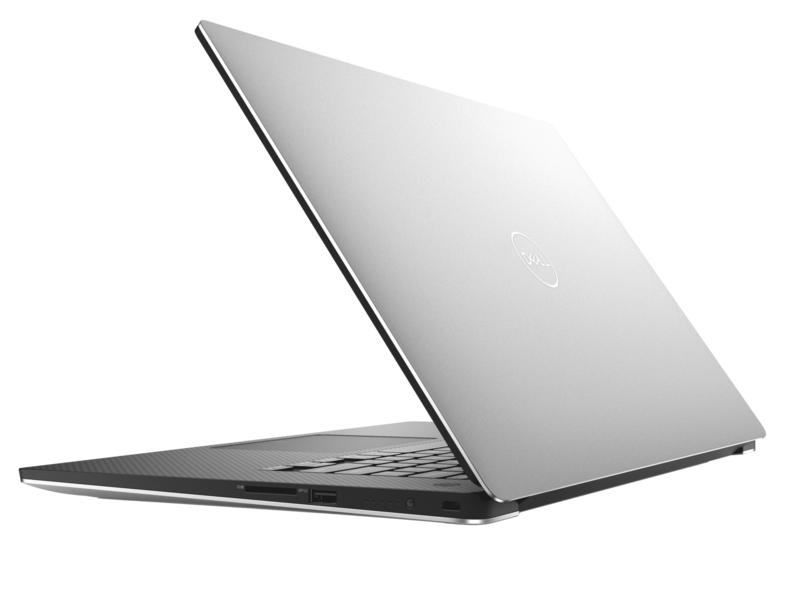 The XPS 15 9560 was one our all-time favorites although, we did have some gripes with it. We've been looking forward to the next generation XPS 15 9570 and here it is in all its glory. 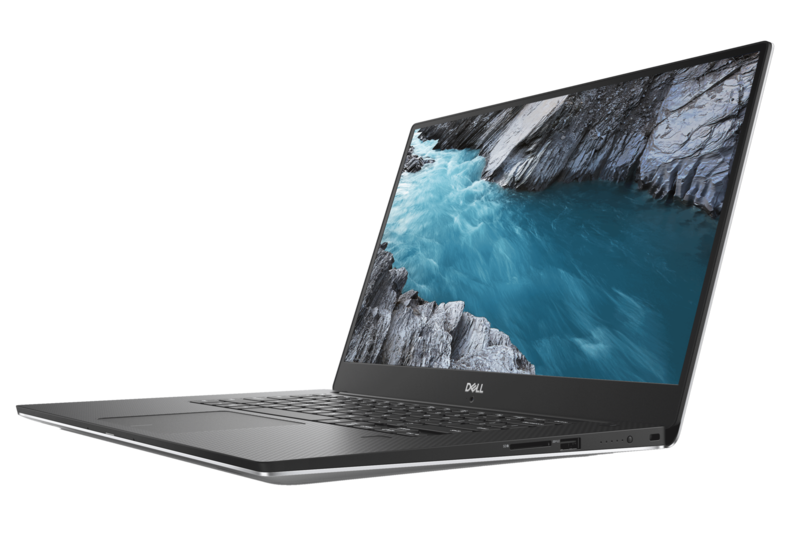 Dell has been refining the XPS product line for 2018 by introducing an all new design aesthetic for the XPS 13 9370 and debuting a high-performance convertible with the XPS 15 2-in-1. Those two notebooks were announced during CES 2018 but the XPS 15 was nowhere in sight at that time. Frank Azor, VP General Manager of Alienware, Gaming and XPS, said back then that they were waiting for Intel to start shipping its 45W H-series chips. Now that Intel has finally made its 'Coffee Lake-H' 45W chips official, fans of the XPS 15 can rejoice knowing that their favorite notebook refresh will feature the latest and to a certain extent, greatest mobile CPU. Before delving into the specs, let's have a look at the design. From the outside, the XPS 15 9570 is not radically different from the previous generation XPS 15 9560. You get a CNC machined aluminum chassis, which is now available in platinum silver. Dell chose not to bring the goodness of the glass fiber palm rest and rose gold color options that made the XPS 13 9370 look chick but instead, chose to retain the black carbon fiber composite palm rest from the previous XPS 15 iteration. 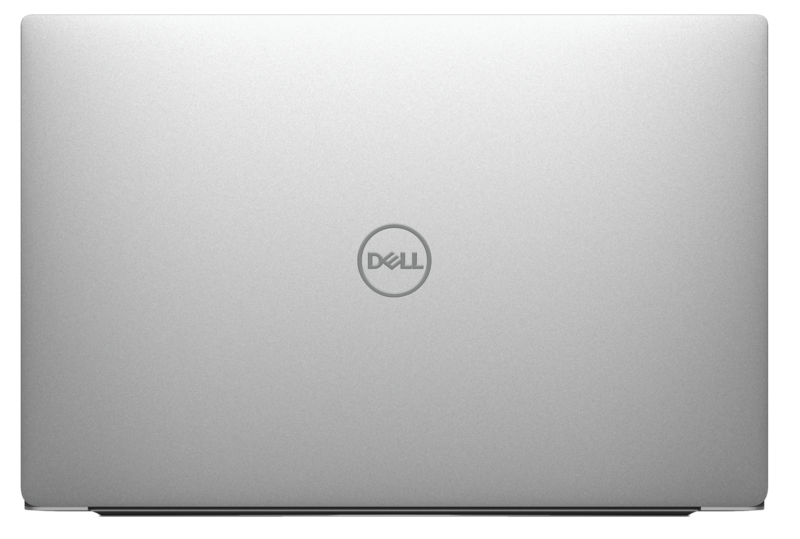 Unlike the XPS 13 9370 and the XPS 15 2-in-1 9575, Dell has been fairly benevolent with respect to port selection. On the left, you find DC power in, USB 3 Type-A, HDMI 2.0, Thunderbolt 3, and a 3.5 mm headphone jack. The XPS 15 9560 was infamous for having just a 2-lane Thunderbolt 3 port, which was a bottleneck in getting the most out of eGPU setups. While 2 lanes are fine to get by if you are hooking the eGPU to an external display, you'll start feeling the bandwidth crunch when you direct the eGPU output to the main laptop display. Luckily, Dell tells us that the Thunderbolt 3 port in the XPS 15 9570 has full 4-lane PCIe connectivity (40 Gbps) so that's one less thing to worry about. Moving on to the right, we get to see a full-sized SD card reader — a reprieve for professionals considering that both the XPS 13 and the XPS 15 2-in-1 have made do with a microSD slot. There's one more USB 3 Type A port, a battery level indicator, and a Noble lock slot. 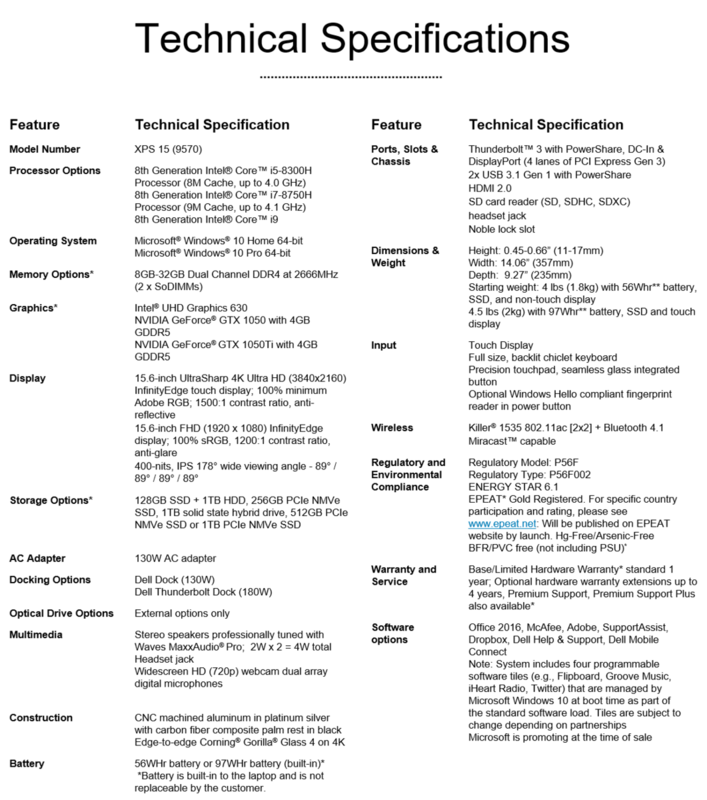 The power button now houses the optional Windows Hello-compliant fingerprint reader. The XPS 15 9570 continues the lineage's legacy of offering great display choices. You get a virtually borderless InfinityEdge IPS display with 178° wide viewing angles in FHD and UltraSharp 4K UHD options. The FHD panels offers a 1200:1 contrast ratio, anti-glare coating, and can display 100% of the sRGB color gamut. The UHD panel, on the other hand, offers a 1500:1 contrast ratio, can display 100% of the Adobe RGB color space, and has an anti-reflective coating. Both panels can go up to a maximum brightness of 400-nits and are touch-enabled. Unfortunately, Dell hasn't addressed the pertinent 'nose-cam' issue and the XPS 15 9570 continues the webcam placement in the bottom display bezel. 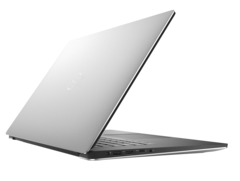 The internals are where the XPS 15 9570 gets the maximum attention. Now that Intel has made the 8th generation 45W 'Coffee Lake-H' CPUs available, Dell offers a range of CFL-H options starting from the Core i5-8300H, to the Core i7-8750H, and even a Core i9 option. Dell did not specify the exact Core i9 CPU that will be available but we know from Intel's reveal earlier today that there is only one Core i9 SKU available in the CFL-H lineup and that is the Core i9-8950HK. There are 2 SoDIMM slots that can accommodate anywhere between 8 - 32 GB of dual-channel DDR4-2666 RAM. The GPU can be configured up to the NVIDIA GeForce GTX 1050 Ti with 4 GB GDDR5 VRAM. While this would suffice for 1080p gaming at medium to high settings (depending on the game), don't expect it work wonders for anything higher. However, the GTX 1050 Ti should be able to make short work of any high-end multimedia work you throw at it — especially, considering the strong multi-core performance of the CFL-H chips. Frank Azor tweeted last week that the XPS 15 9570 will be getting a Max-Q GPU but the official spec sheets do not mention anything of that sort. We should be able to find out if Dell has custom-configured the GTX 1050 Ti to offer Max-Q performance levels keeping in mind the thermal constraints once we get our hands on a review unit. Storage options have remained unchanged from last year and you can get different combinations of SSD and HDD storage. Networking options are carried forward from the XPS 15 9560, with the Killer 1535 802.11ac (2x2) handling wireless radio. The battery too, remains the same — you get to choose between a 56 WHr or a 97 WHr non-user replaceable battery. Dell promises a 21.5 hour battery life but given the powerful internals, we'll reserve our verdict on that number once we get to evaluate the unit. Some of our expectations regarding the XPS 15 9570 such as the upgraded CPU and GPU and full speed Thunderbolt 3 have indeed been met while others such as the awkward webcam placement and incorporation of new design aesthetics do not appear to be addressed. We would have to test out the XPS 15 9570 fully to understand whether Dell has improved upon things like better thermal handling, faster storage subsystem, PWM issues on the keyboard backlight, etc. Stay tuned for that in the days to come. 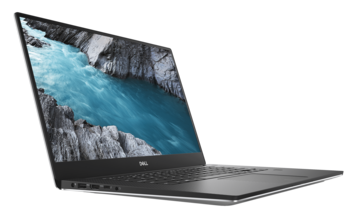 The Dell XPS 15 9570 will be available in May 2018 at a starting price of US$999. Are you looking forward to the new XPS 15 9570? Let us know in the comments below.